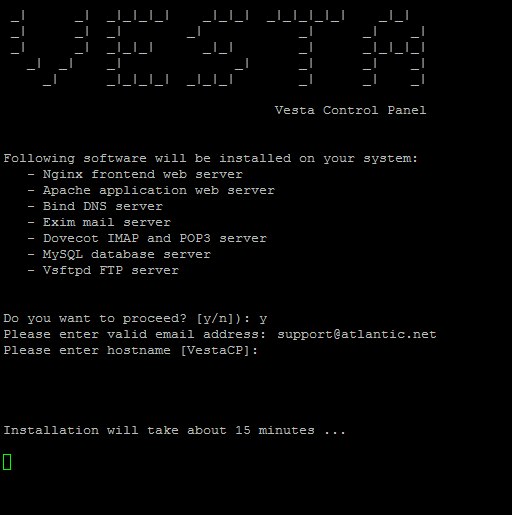 This tutorial will show you how to install Vesta Control Panel on Ubuntu 14.04. 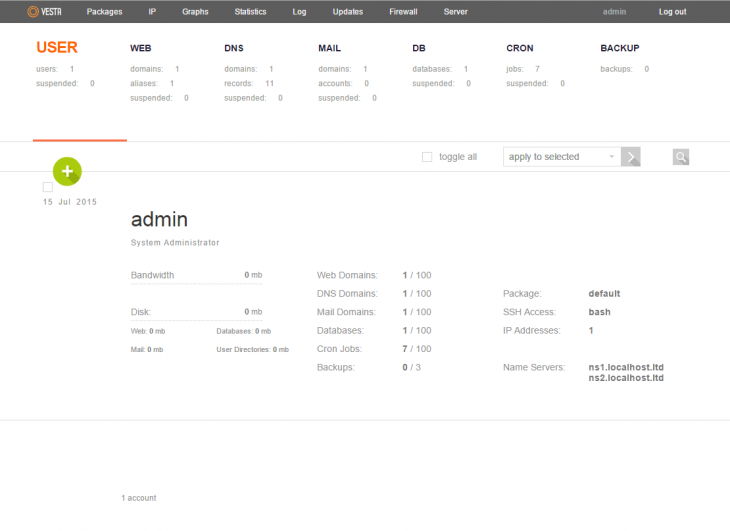 Vesta Control Panel is a free open source control panel that is an excellent alternative to cPanel. After the install completes, you will have Web, DNS, Database, Mail, and FTP Server. 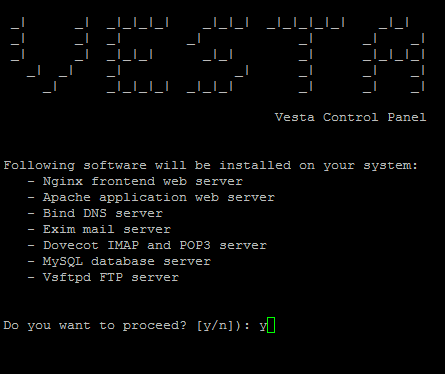 Vesta installs Nginx on the front-end and Apache on the back-end which essentially gives the best of both worlds. A server with Ubuntu 14.04 installed. If you do not have a server, Atlantic.Net has a full selection of options, including our super-fast SSD cloud servers! Your terminal should look similar to the one below. Type Y and then enter to proceed to the next step. Enter a valid email address and then hit enter. Note: It is important to enter the correct email address as your server will send important information to it. Either hit enter to accept the default hostname or set a new and then hit enter. At this step, you can set your hostname or keep your current hostname by hitting enter. After hitting enter, the install will begin. Vesta says it can take up to 15 minutes; however, most of the time it is much less. After selecting the hostname, the installation will begin. Once the installation is complete, you should get an email similar to the one below. 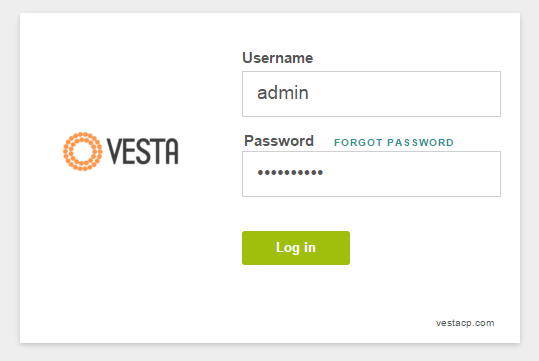 It will have the Vesta control panel link, username, and password. Likewise, you should get an email like the email below, with the same information as above. An example of the email sent by Vesta to the email you set up earlier. 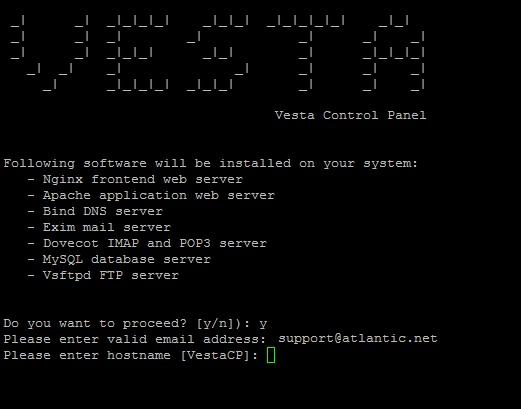 We can now login to the Vesta control panel, by using one of the links from the terminal or email. Once you login, you will get a screen similar to the one below. 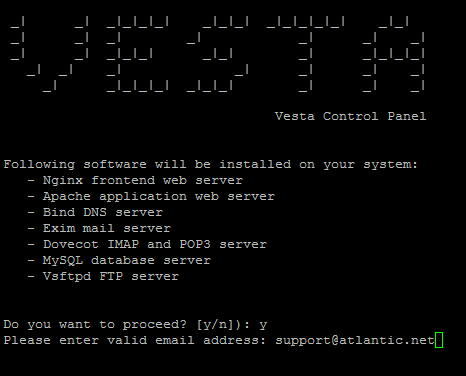 Congratulations on installing the Vesta Control panel on Ubuntu 14.04. 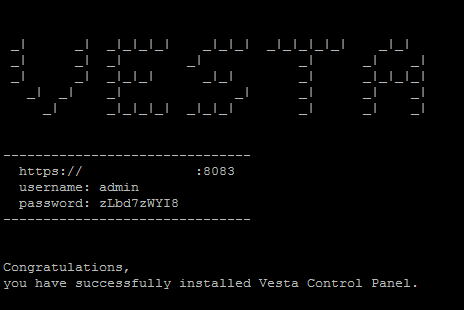 Thank you for following along this howto, please feel free to check back for further updates, or follow our guide on making a website on Vesta here.